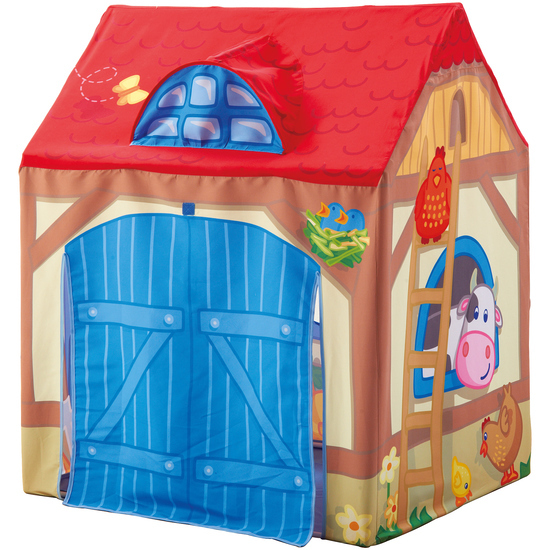 Here all little farm lovers feel comfortable and have a home where they can play: they can move with all their animals into this spacious play tent and work on their farm. And of course there is enough space for a best friend! The perfect setting for recreating life on the farm. Includes door that rolls up. The interconnecting plastic bars make it easy and quick to assemble.